literacy « Girl Scouts of Gulfcoast Florida, Inc.
Sydney is a Junior at Suncoast Polytechnical High School. She has been in Girl Scouts since she was five years old. Her project focuses on encouraging preschool aged children to love books at an early age in order to improve literacy. Her original goal was to collect 500 books for children but then she included 500 bears so each child could have a “reading buddy.” In the end she collected 1,000 new bears and 1,400 new books to distribute to area preschool children. “Girl Scout Gold Award recipient Sydney’s “Take Action” project will make a measurable and sustainable difference in our community. 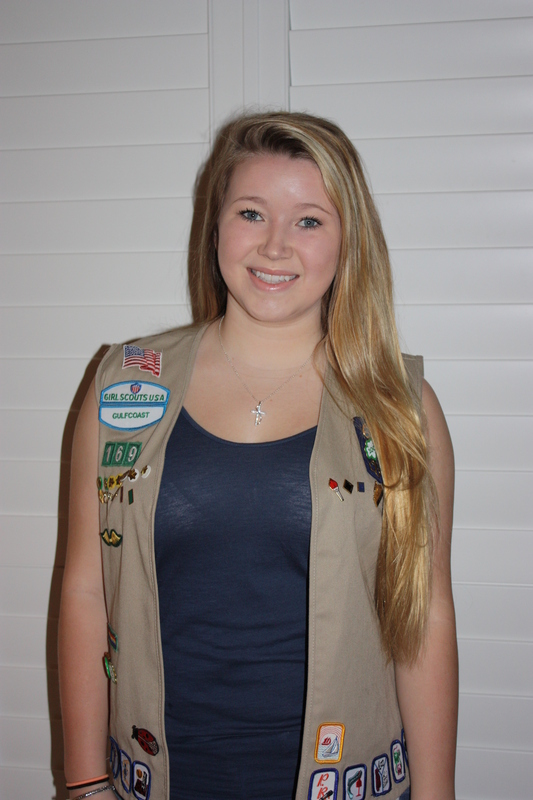 Her positive attitude, teamwork, and commitment to service defines Sydney as an inspiring leader and role model,” states Sue Stewart, Chief Executive Officer of Girl Scouts of Gulfcoast Florida, Inc. The Girl Scout Gold Award is so prestigious that some universities and colleges offer scholarships unique to Gold Award recipients, and girls who enlist in the U.S. Armed Forces may receive advanced rank in recognition of their achievements.Congratulations Sydney!